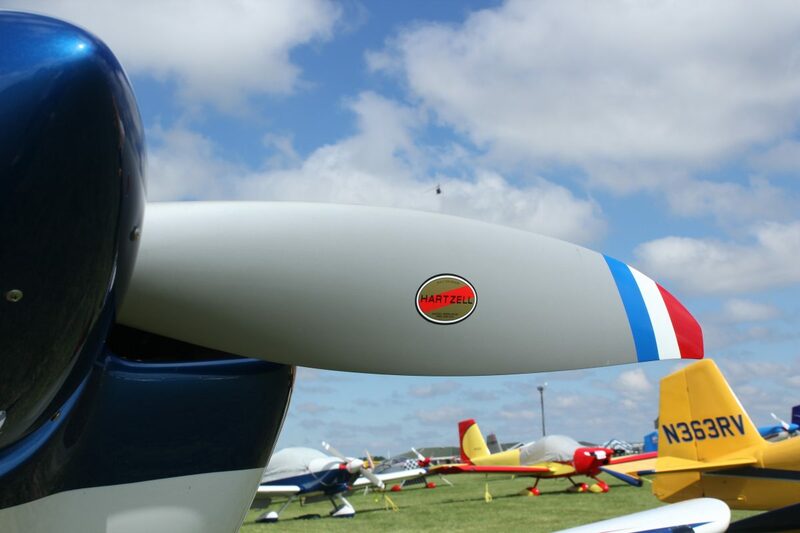 It’s almost time for one of the top aviation events of the year: the Sun ‘n Fun International Fly-In & Expo, held April 2–7 in Lakeland, Florida. As the second largest aviation expo in the world, Sun ‘n Fun brings together thousands of pilots, industry leaders and air show enthusiasts for a week of all things aviation. With performances all week long, there are plenty of opportunities to soak up the sights and sounds of the airshows at Sun ‘n Fun. Some of the world’s top aerobatic pilots will take to the skies to showcase their skills, many flying behind Hartzell props. You can catch American aerobatic national champion aviator Michael Goulian perform on Tuesday, Wednesday, and Saturday in his newly designed performance plane utilizing Hartzell’s aerobatic Talon propeller. Fans are welcome to visit the Hartzell Propeller booth on Thursday, April 4th at 1:30 p.m. to meet Michael and receive his autograph. View the complete airshow schedule here. This year’s expo will feature more than 300 forums, seminars, and presentations where you can hear from industry experts on interesting topics ranging from aviation safety to tips on purchasing your own aircraft. The event will also include hands-on workshops for youth and adults interested in restoring or building aircraft. Sessions will cover woodworking, welding techniques, metal fabrication, avionics and electronic work, fabric aircraft covering, and more. If you’re looking to get out of the heat, visit the Aerospace Discovery at the Florida Air Museum for special keynote speaker presentations and guided tours. One of the biggest highlights of Sun ‘n Fun is the chance to see world-famous aircraft from the most popular eras of aviation all in one place. Everywhere you look, you’ll see a variety of aircraft including classic warbirds, rare and vintage planes, modern military aircraft, and homebuilts and ultralights, as well as the latest pistons, turboprops, and jets on display. If you’re thinking about starting or advancing your career in aviation, take advantage of your chance to network with some of the top aviation companies at the Sun ‘n Fun Career Fair. The fair will be held on Thursday, Friday, and Saturday in an air-conditioned venue near the main entrance. At Sun ‘n Fun, the festivities don’t end when the sun goes down! Stick around for the night airshows on Wednesday and Saturday, which will also feature a stunning hot air balloon glow illuminating the night sky. Cinema fans will enjoy watching aviation-themed films under the stars during Ace’s Flyin’ Flix, hosted at an outdoor theater in the convention campground each night. Saturday evening is the Sun ‘n Fun 45th Birthday Bash, a silent auction and fundraising event to benefit the Aerospace Center for Excellence’s STEAM education programs and support scholarships for students pursuing aerospace and aviation careers. Learn more here. While you’re at Sun ‘n Fun, be sure to stop by our Hartzell Propeller booth (B-034, B-035) to say hello and check out our next generation propellers on display. Hartzell Propeller specialists will be available to answer your questions. We hope to see you there!